TGIF to you all. I am really looking forward to a couple of days at home. Hope you are too. These are the things that turned my head lately. Enjoy! 1. Succulent Window Box from the ladies at A Beautiful Mess: All kinds of creative is happening here. They created this crafty tutorial as decor for a guest room, and I think it's super adorable. 2. Potted succulent from Kim at Today's Creative Life: A darling little potted felt succulent project is given here. It might even have a chance of surviving on my desk. 3. Apartment Therapy on crafty vacations: They provide a round-up of some terrific sounding crafty vacay's. I would just love to indulge myself on one of these retreats. Can you imagine block printing with Lotta Jansdotter in Scandinavia? Swoon. They also mention CreativeBug -- an online craft class platform -- for those that want to stay close to home (or maybe just pay $4.95 a month vs. a ticket to Scandinavia). Lot's of great classes that you can watch from your computer or even via their app on your iPhone. I have it and love it. 4. 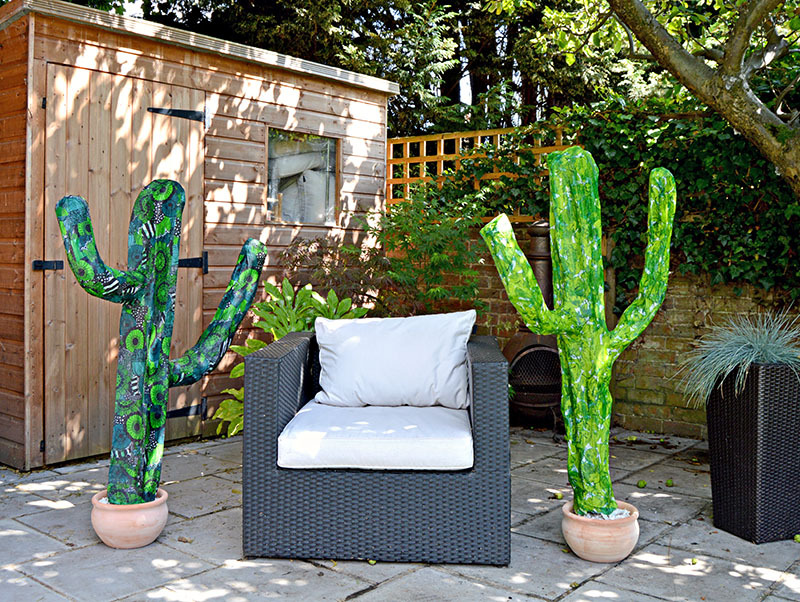 Pillar Box Blue provides us with giant cacti: Great tutorial for a paper mache cactus. 5. 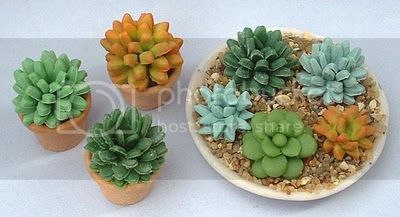 Team Mids polymer clay project: A site dedicated to miniatures provides a project making succulent plants at 1/12 scale. I am a super fan of just about anything miniature. 6. CraftBits provides us with cacti painted rock planters: These painted rock planters are easy and cute. 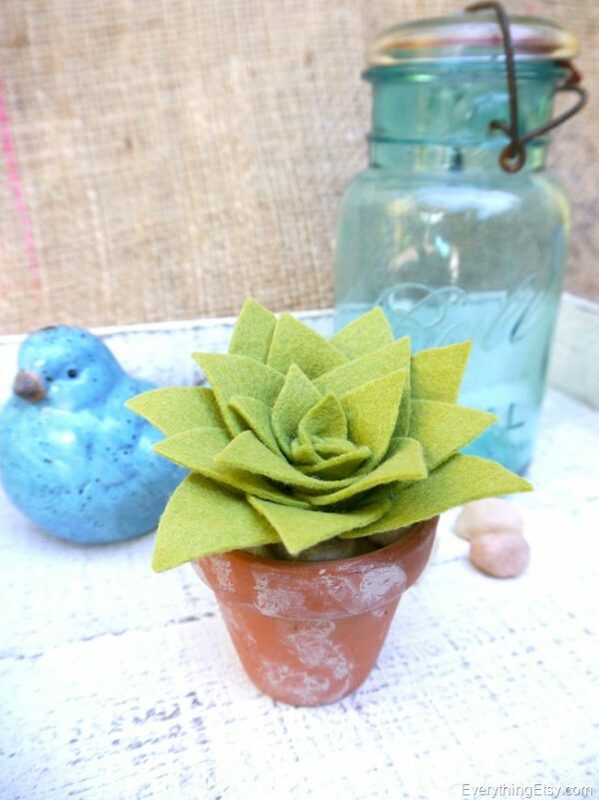 Could be a fun craft with the kids or even a nice summer hostess gift. 7. TMTOMH gives us everything cement: 20 great projects using cement all in one place. 8. A Pretty Cool Life shares a Cinco De Mayo flower decoration: These tabletop arrangements would look great on a picnic table this summer, and pretty up a taco night with friends. I just love the bright yellow cans; I have a Cento can I keep on my craft desk to hold my scissors, but I should get some more to use for flowers when I cook Italian. 9. Dizzy, Busy and Hungry shares a delicious dip recipe: Really simple but it sounds perfect, this Cilantro Lime Dip is going on my summer table along with those El Pato flower arrangements. 10. Tiny Tacos from Tastemade: I really meant it when I said I love all things miniature. So this video just makes me smile.